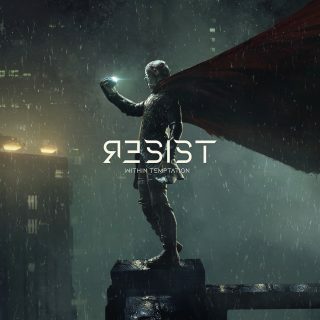 Within Temptation : Resist album download | Has it Leaked? Within Temptation will release their 7th studio album Resist on December 14, It's the bands first release through Spinefarm Records. Dutch symphonic metal supremos Within Temptation are returning with their seventh album this winter following months of turmoil and uncertainty within the band. "We are super overwhelmed by the great respond to our new music and we want to thank all of you for your endless support! However, our label is currently experiencing production problems and are forced to postpone the release of RESIST to February 1st, 2019. But don't worry: all the preorders will still be on and delivered to your doormat. 'Firelight' (feat. Jasper Steverlinck) - OUT THIS FRIDAY, NOVEMBER 23." The release date of the album has been pushed back to February 1st, 2019 due to label having production issues. However, the band is trying to make up for the disappointment by releasing Firelight on November 23rd. The second track from the album, Endless War, has leaked due to being accidentally released on certain platforms around the world. The album has now leaked – I’ve just downloaded it.